For the first time ever, all 3 Incredible Hulk TV movies appear in one impressive collector’s edition box set and are available to buy on DVD. Thanks to our friends at Fabulous Films, we have three copies of the entire DVD boxset to give away. See Lou Ferrigno and Bill Bixby back in action in The Incredible Hulk Returns, The Trial of the Incredible Hulk and The Death of the Incredible Hulk. 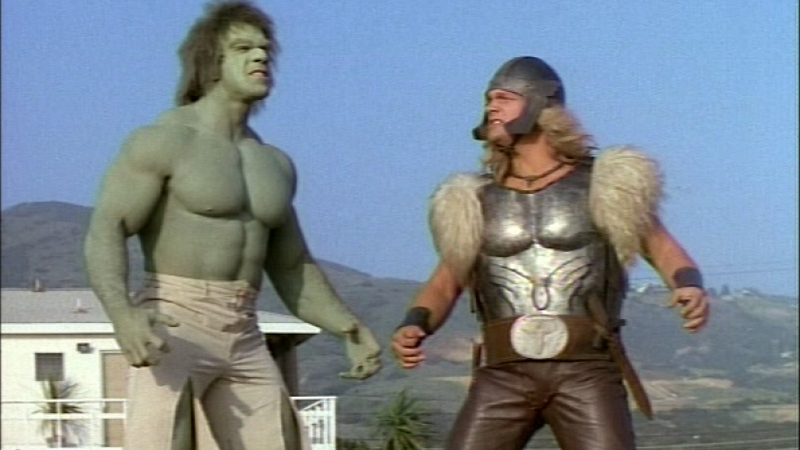 Filmed in 1988,1989 and 1990, the films were directed by David Banner himself a.k.a Bill Bixby and feature appearances from a pre-MCU Thor, Daredevil and Stan Lee (obvs). Each film is available as a single title as well as in the dashing collection below. To be in with a chance of winning, all you need to do is comment below with your favourite incarnation of the Hulk. Three winners will be picked at random on Friday 31st August and announced over on our Twitter and Facebook so be sure to follow us there so you don’t miss out. Good luck everybody, and if you don’t win…don’t get angry! The man himself Lou Ferrigno! Lou Ferrigno and Bill Bixby – terrifying when you’re a kid! …and even when you’re an adult! We’re liking Ruffalo too though! Still the best realisation of the big green fella. Beautifully made, and with that heart wrenchingly sad closing theme. Great stuff! Spot on about the theme! Has to be Lou Ferrigno: it’s who I grew up with… Saturday afternoons cowering behind the couch, equal parts scared and excited by the big, angry, green man! no contest: Lou Ferrigno all the way. Scary! I wonder if Ruffalo’s Hulk scares anyone?! The original and the best Lou Ferrigno with the best Hulk hair by far – many a time spent watching from behind the sofa as a kid. Ha! His hair is pretty cool! Then I guess that makes us old foggie’s too! Lou Ferrigno is the Hulk I grew up with and therefore MY Hulk! The unbeatable Lou Ferrigno/Bill Bixby combo.